Is your business utilizing video walls and LED technologies to capture your audiences’ attention? Do you want an adaptable way to utilize technology to increase communication with your employees while demonstrating the progressive nature of your business to clients? 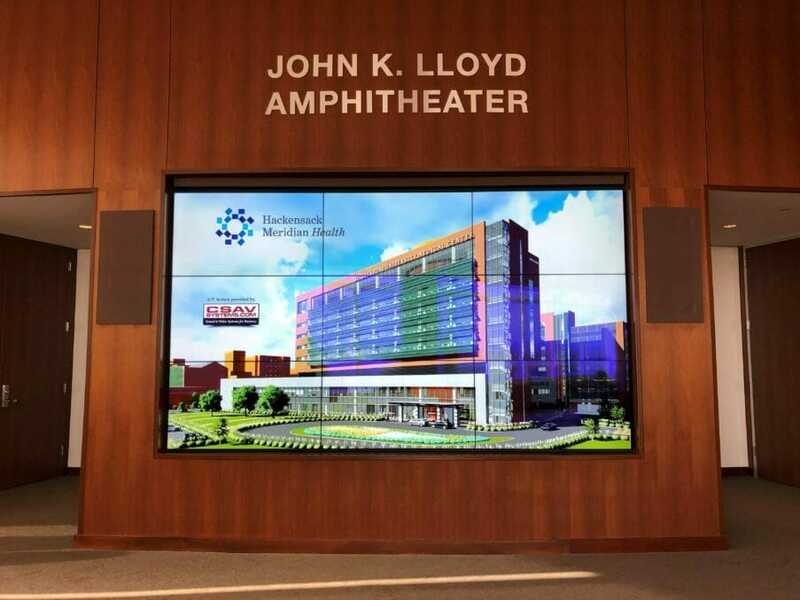 Video walls are the latest and greatest technology taking businesses to the next level. 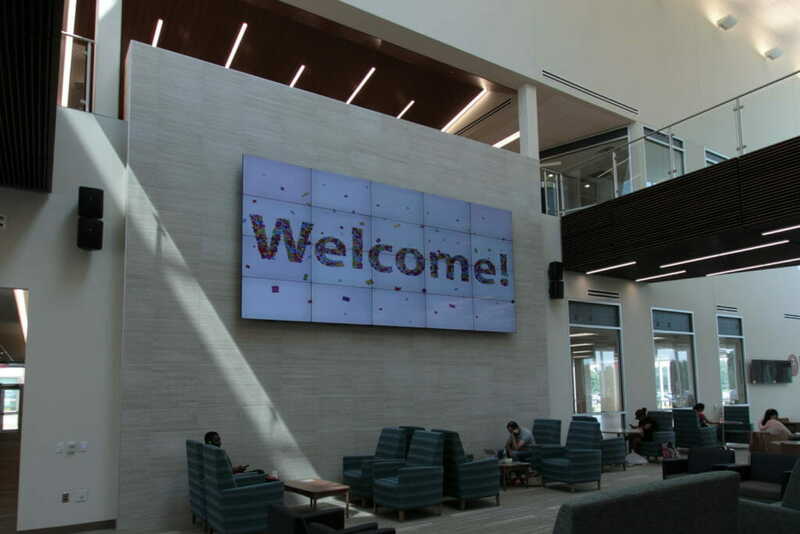 Every video wall installation is specific to your business’ atmosphere. We work with your business to create a custom video wall package that meets your needs. Digital displays and video walls are becoming extremely popular in restaurants, retail businesses, corporate offices, schools and education facilities, emergency call centers and even healthcare facilities. 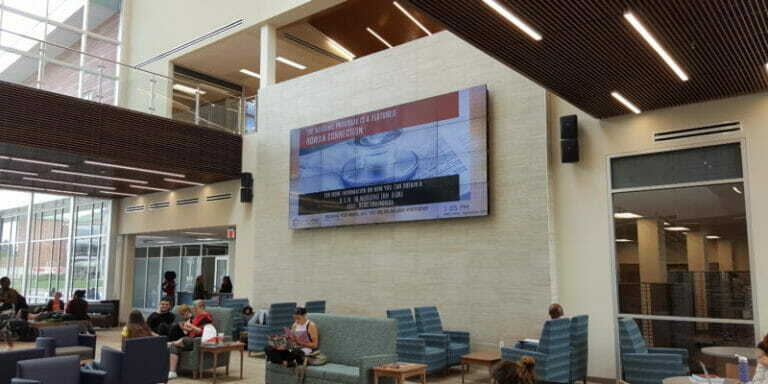 Video walls allow for businesses to advertise messages on a huge digital platform, to display important messages along different monitors, or to show videos to a large crowd. These digital platforms enable businesses to attract the attention of their target audience and educate them on the benefits of their service or offering. Video walls can serve as an interactive display that can draw in crowds within your business and “wow” your audience. This technology allows companies to strategize new goals to take their business to the next level, whether it is designing a new advertising campaign or building brand awareness. LED video walls can create and deliver seamless images, in which the images can be customized to any specific size and shape, while keeping the overall display clear with excellent visual characteristics. LED video walls can be watched from afar, as this innovative technology solution can quickly capture the eyes and attention of those passing through your business. Our team of professional technicians and engineers will design, build, install and service LED video walls specific to your business’ needs. At CSAV Systems, we provide the highest quality LED displays for your video wall and integrate this advanced A/V solution into your business so that it is easy to use, manipulate and understand. Vontent can be zoomed into one or multiple digital signage displays or spread throughout the entire LED video wall. With high resolution, advanced processing abilities and crisp coloring, it is no wonder why LED video walls are taking technology to the next level. Restaurants: Installing a video wall in your restaurant allows you to greet your customers at the door. You can also display your menus in the center of the wall and surround the outside with high-quality, delectable photos of some of the meals you offer. Hospitals: You can list statistics and quotes in support of the success of your hospital, as well as, give a virtual tour of your hospital. Alternatively, you can play hopeful, uplifting videos to bring up the morale of patients and visitors, and make them feel more comfortable being at the hospital. 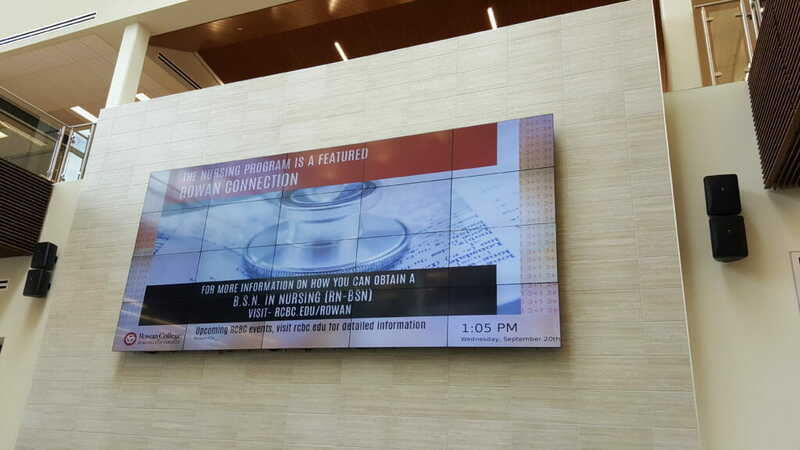 CSAV Systems provided video wall installation for Jersey Shore University Medical Center – Hope Tower in Neptune, NJ. Corporate Offices: With the implementation of video walls, you open up a whole new realm of communications with company employees and clients. 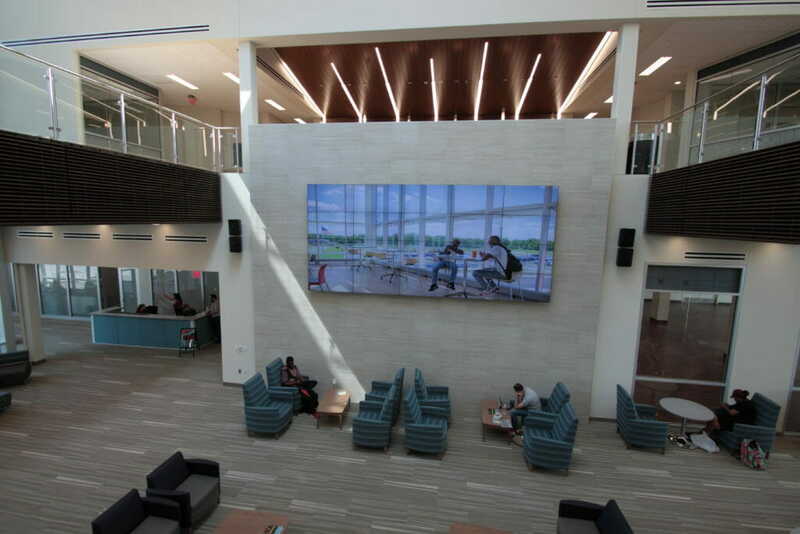 Schools and Education Facilities: LED video walls can be installed and displayed in areas, such as student center and lounge areas, study halls, cafeterias or large classrooms. 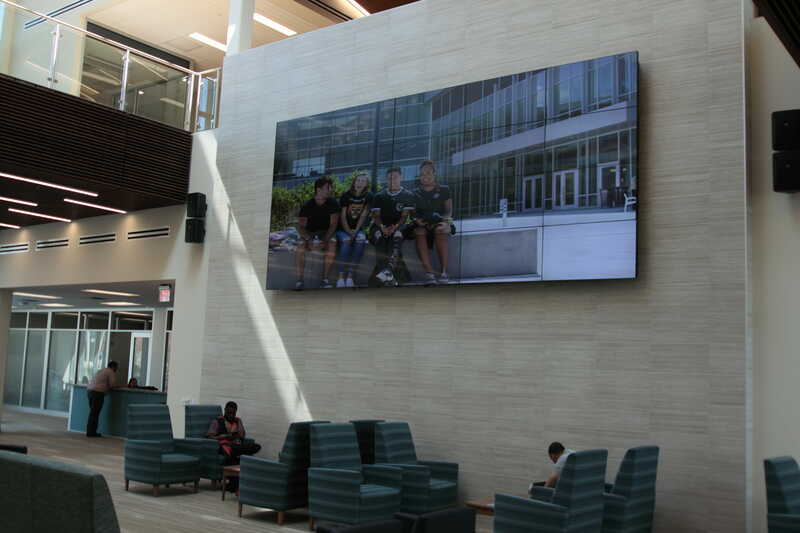 We recently installed an LED video wall at Rowan College at Burlington University in Pemberton, NJ. Emergency Call Centers: Video wall displays can be a huge advantage to have in dispatch and emergency call centers. 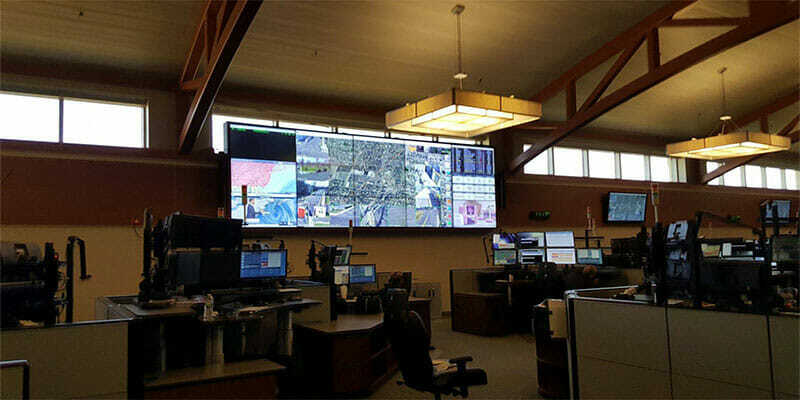 Video walls can help those working at emergency operation centers to see surveillance footage, receive and pass along information from dispatch calls to first responders, and monitor a specific city or region.